What Makes Boko Haram’s Atrocities So Hard To Track? The details have been slow to trickle out. 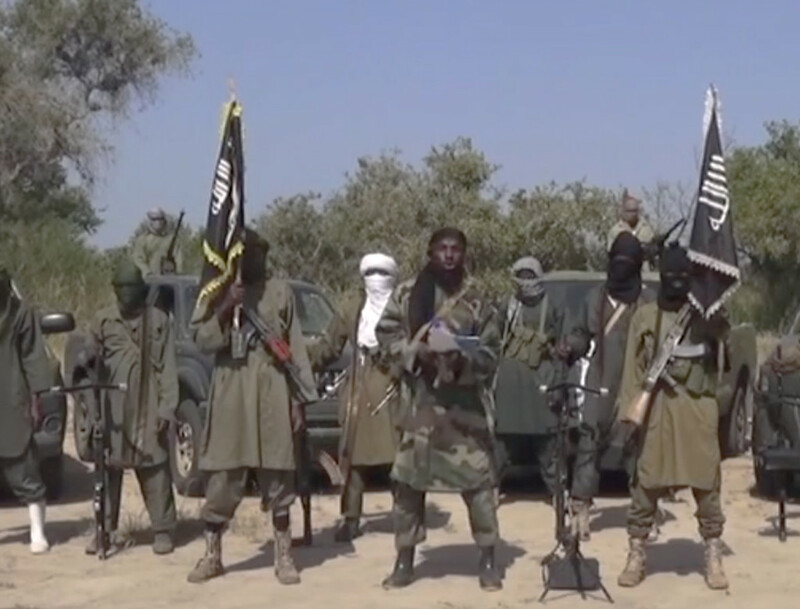 On Jan. 3, the terrorist group known as Boko Haram launched brutal attacks on two neighboring towns in northeastern Nigeria. Initial local estimates put the death toll as high as 2,000. On Thursday, Amnesty International released perhaps the clearest pictures of the extent of damage inflicted on the towns of Baga and Doro Gowon, which border Lake Chad. The satellite imagery, taken five days apart — on Jan. 2 and Jan. 7 — shows large portions of the towns razed, with more than 3,700 buildings either damaged or completely destroyed. 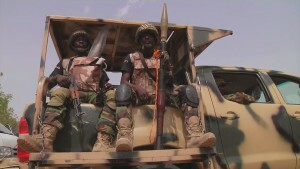 One of the towns was “almost wiped off the map in the space of four days,” according to Daniel Eyre, Amnesty International’s Nigeria researcher. However, details of the attack — like many reports of Boko Haram’s atrocities — have been hard to verify. 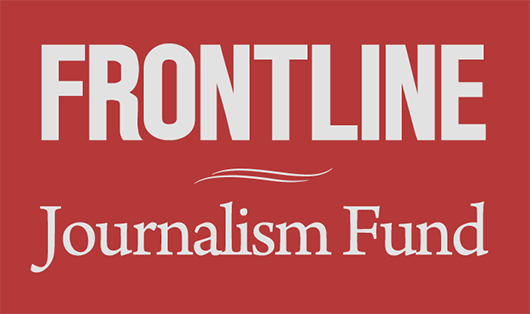 FRONTLINE talked to Eyre about why. With many of these reports, and this time with Baga, it’s taken a few days or sometimes weeks for news of the attacks to trickle out. What’s behind the delay? There’s often a delay because some of the areas attacked by Boko Haram are quite remote, and for one we don’t have phone signal there. Also at Amnesty we don’t have staff that speak Hausa, so we work through contacts based in some of the major towns and cities. So it’s when people are fleeing violence or traveling to those towns that we’re then able to interview them and get the full story. In the case of Baga, it’s even more complicated because the town is still under the control of Boko Haram. One of the big controversies has been the number of people that were killed in the attack. Without being able to go back to the area, count and bury the dead, it’s very difficult to get a reliable figure. What methodology do you use to track Boko Haram’s atrocities? Number one, in terms of getting timely reporting, is that Boko Haram has continued control over areas of the northeast. So that makes it difficult to find out what’s going on there. We do first-hand witness interviews. We’re able to do that because we have a network of contacts that we’ve worked with now for many years. We first started working on the conflict when it really began in 2009. So these people are human rights activists, local government officials, lawyers, journalists, these types of people. They’re able to give us some of their own insights and analysis on what’s happening, but they’re also able to set up these interviews with witnesses to Boko Haram attacks and also human rights violations by the Nigerian military. We use other forms of evidence as well. When we’re talking about the arbitrary arrests and unlawful detention of civilians detained as Boko Haram suspects, sometimes we’re able to use court documents or other forms of official records to establish what happened. I know that journalists have felt that they’ve been prevented from reporting on a story by the military. There have been some problems with intimidation of journalists. For example, in December there was a bomb attack in Maiduguri. A journalist I spoke with told me that his cameraman went to the scene and had his camera confiscated, allegedly for his own security. These kinds of instances make it harder to report there. The journalists and people there are living in a state of constant fear, as [are] all the civilians in the northeast, because of what are now almost daily attacks by Boko Haram. The Nigerian military released a statement saying the death toll from this latest attack had not exceeded 150. How reliable are the military’s numbers? I don’t know how they got to that figure. You’d have to check that with them. It’s not consistent with the testimony we’ve been getting from eyewitness accounts. Although the satellite imagery doesn’t allow us to count bodies, it does give us a sense of the scale of the destruction, and that adds more weight to what the eyewitnesses are telling us. Amnesty recorded abuses thought to be carried out by the Civilian Joint Task Force and even some members of the military. Have you noticed any change in the level of their activity? It’s very difficult to track the rate of change of what the military’s been doing. In some areas we’re seeing the same old tactics of arbitrary arrests, where the military will go into a community that has been attacked by Boko Haram, round up all of the young men, arrest people en masse and detain them in inhumane conditions without access to lawyers, their family members or the courts. This still goes on. We still get reports of it. Has international attention on Boko Haram’s atrocities in some ways given the Civilian JTF license to carry out abuses in their fight against the group? And I wouldn’t necessarily focus on the Civilian JTF. The CJTF do accompany the military on operations and we sometimes have video footage of them beating civilians, but that’s no worse than soldiers are doing. The CJTF isn’t empowered to arrest people, so it’s soldiers that are arresting people and detaining them in inhuman conditions. It’s in these facilities that torture occurs. In 2013, we put out a statement on deaths in military custody. We’d found that around 950 detainees have died in detention facilities across the northeast as a result of lack of access to sufficient food and water, health care, and the torture that soldiers were perpetrating against them. Watch FRONTLINE’s investigation into atrocities committed by Nigerian forces in the fight against Boko Haram.